I am a believer that food is medicine. Everything we put into our body can be used to either help us or hinder us. Over the last few years as a family we have made a conscious choice to change our diet so that we are fueling our body with the best food possible to give ourselves a fighting chance. We are not getting younger. .
Nutritional Healing with Chinese Medicine is a great resource to go along with our way of eating as well as health. Chinese Medicine truly believes that food is medicine. When I think about the different uses food has in our body I am reminded of the Chinese Proverb - "All diseases enter through the mouth" - Food Matters! This outstanding book will teach you how to apply the ancient wisdom and traditions of Chinese medicine and what you need to achieve balance and ultimately improve your health. Over 200 enticing recipes organized by season to help you easily put the theory of Chinese medicine into practice — easy to assemble and easily adapted to meet your needs, desires and tastes; you’ll soon be on your way to utilizing the principles you’ve learned and applying them in your home kitchen in an easy and delicious way. 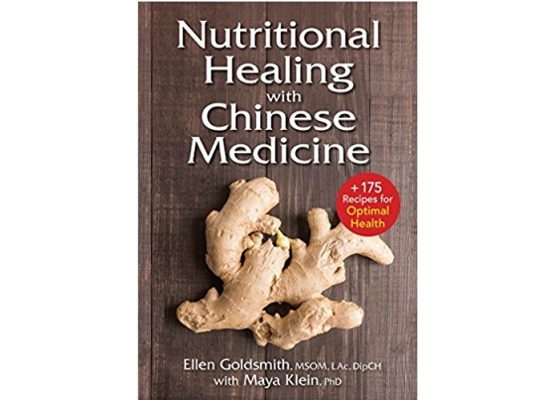 Includes traditions of food and healing in China and Chinese Medicine straight from nature. Information on food groups and their properties, the cycle of change, the kitchen your laboratory and the digestive system the key to health. Transforming your health and how to stock your pantry are key chapters in this section. .
Have you tried to do Nutritional Healing?